Life Insurance is a powerful tool to cover your unforeseen risks that can affect your family in your absence. It also works as a saving instrument which can help you in planning for your children’s education, daughter’s marriage, pension, retirement benefits or for any defined goal.Lotus Finance is specialized in Providing L.I.C Service. Insurance is one of the most important financial topics in today's complex world. Everyone needs insurance. If you own anything that cannot be easily replaced, having economic value, it should be insured. Failure to have sufficient insurance coverage is the quickest and easiest way to lose financial freedom. We also do insurance services for life insurance products for tata aia insurance company. Health and life insurance agent. “Financial Services. Invest in Mutual Funds, Stocks, Commodities, Fixed Deposits Etc. Life Insurance, General Insurance, Equity-Derivative-Currency Trading, Home Loans. We Provide complete Financial Services to our clients. We provide all insurance services like jeevan anand, Jeevan Labh, Jeevan Rakshak, Jeevan Lakshya, Money back plan etc. With the aid of well-informed team, we are occupied in rendering Life Insurance Advisor Service. These services are vastly well-liked among our patrons for their timely completion. Our offered service is accomplished employing the advanced techniques. In addition, these services are rendered at nominal costs. Keeping track with latest market trends, we are devotedly engaged in offering a wide assortment of xxxxxx. We here in nest-egg believe insurance play very important role in client portfolio. However, it should cover only certain part of it. 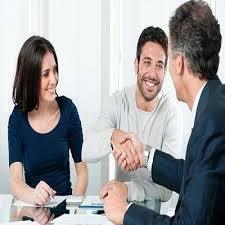 We advice which insurance product will be suitable for client according to his future goals. We prepare the particulars required for the calculation of Gratuity every year and advice the management in accumulating the amount either in the bank or through LIC in Group Gratuity Scheme. 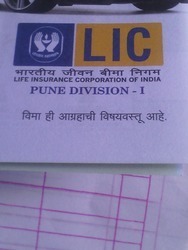 Preparing the settlement application and forwarding the same to the LIC for obtaining the amount. Get 50 lakh as maturity and after get ur premium back life time with 40 lakh risk cover.